The risk of war with a true madman at the head of North Korea continues to escalate. But is he really mad, or trying to strengthen his position for negotiations in the months ahead? North Korea fired its second intercontinental ballistic missile last week in an attempt to demonstrate its long-range capabilities proving it can now reach the continental United States, not just Alaska as previously thought. 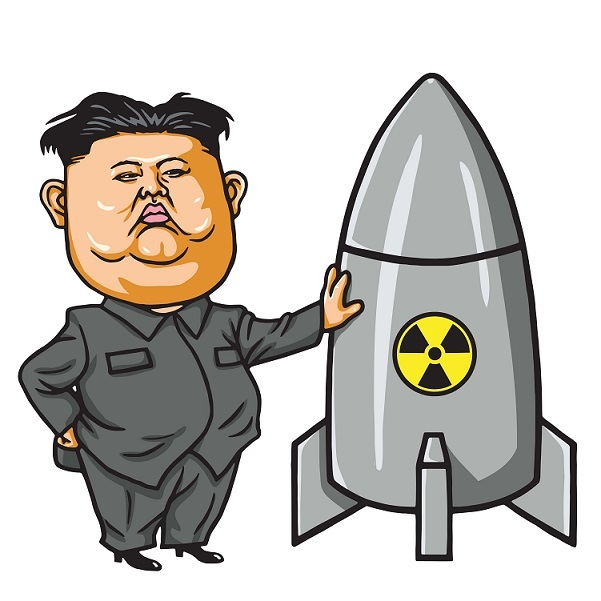 Despite strong international condemnation, the United States and its allies are being pushed into a response to North Korea’s game-changing provocation. Congress has not helped by imposing absurd sanctions on Russia at a time when we should be building stronger ties with Russia instead of demonizing them and fueling yet another confrontation all because Hillary lost the election. As President Trump has indicated that even a military response is not out of the question. However, since that intercontinental ballistic missile last week, the US military has detected “highly unusual and unprecedented levels” of North Korean submarine activity. It now appears that they have been also engaged in an “ejection test” which examines a missile’s “cold-launch system.” In other words, this is a test for a launch of a missile from a submarine. The system uses high-pressure steam to propel a missile out of the launch canister into the air before its engines ignite. This is really a game changer if he establishes nuclear submarines. Then he can sail right off the coast of California. The irresponsible sanctions against Russia are so stupid in a time like this. If they really keep trying to totally isolate Russia, the logical response will be to support Kim and use him as a proxy. Welcome to World War III with nukes all because Hillary lost?